Tom Thiel was raised in Bloomington-Normal; graduating from Central Catholic and Illinois Wesleyan University. For the past 10 years he has worked at MSI, holding positions as a loan processor, loan officer assistant, and loan officer. 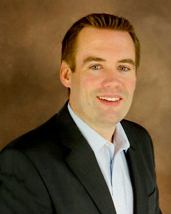 During his time with MSI, Tom has worked closely with the company’s top producing loan officer. Tom’s experience includes Conventional, FHA, RD, and VA loans, as well as various down payment assistance programs. Contact Tom today for all your home loan needs!